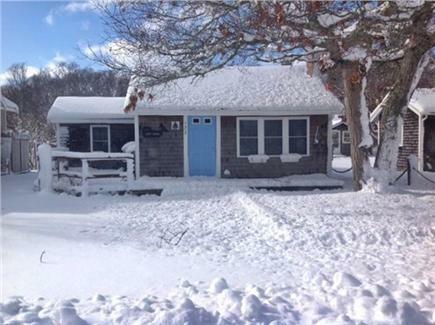 2 bed 1 bath cottage in South Yarmouth- Walk to Beach! Snowy day outside, cozy inside! Recently remodeled, looks brand new! Hardwood floors, granite countertops, cathedral ceilings, fireplace, deck, private outdoor shower, bbq, picnic table,smart TV and DVD. Wireless internet. There is a washing machine, but no dryer. Off-street parking for 2 cars. 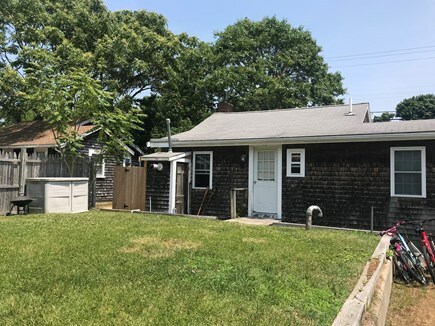 Quiet street in Bass River neighborhood in S.Yarmouth, walk to Parker's River Beach in 5 minutes! 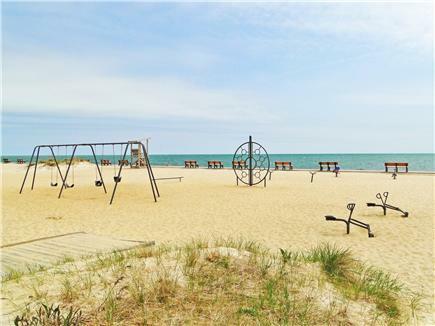 Great for kids, less than 1 mile to Route 28, restaurants, Pirate's Cove Miniature Golf and much more. 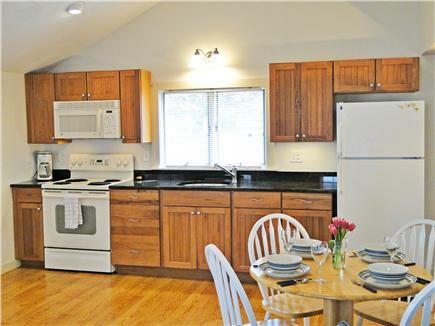 We have a sister cottage that can work to accommodate a larger group by booking together. Take a look at Property ID# 16287. 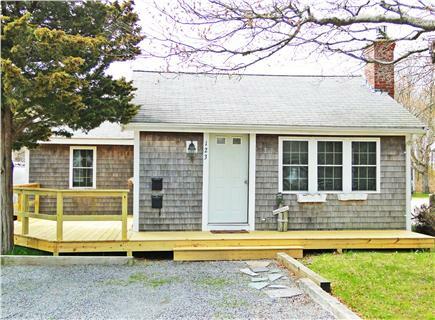 Great house with all that you need - and walk to the beach! Cape Escape has been out home away from home for multiple summers. 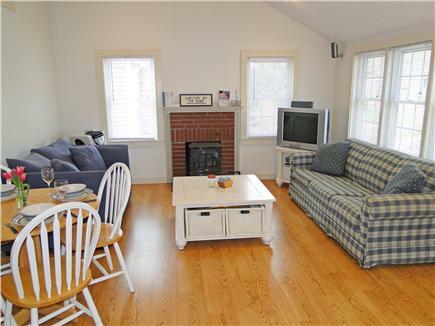 We love the clean and well maintained cottage feel. The location is perfect, walking to the beach and drive to dinner. We look forward to our time in the Cape each year. The homeowner responds quickly and is very accommodating. This Cottage is Awesome, an Absolute Jewel! What a great piece of property!! 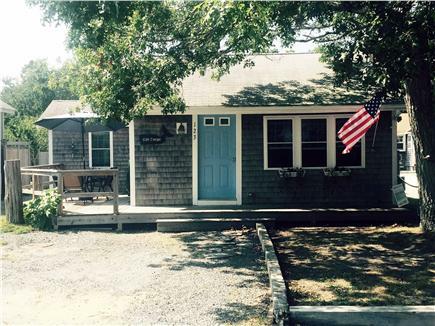 We have rented many properties over the years here on the Cape, but we had the best time here! 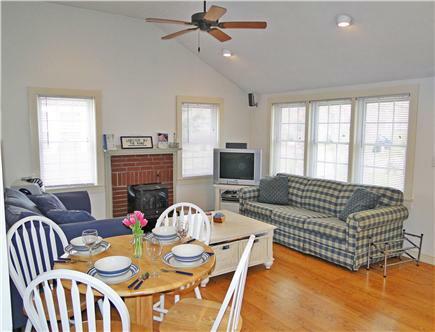 This cottage is very centrally located, easy to get any where on Cape Cod. The beach was less than a 5 minute walk, and there are 2 others that are just a 10 minute drive. The cottage was spotless upon arrival. The kitchen featured a full size refrigerator, plenty big to hold our stuff, plenty of counter space, and fully equipped with just about everything you need. The main area was just the perfect size for all to sit and relax at the end of a long day. The dining table was another great area to play cards. 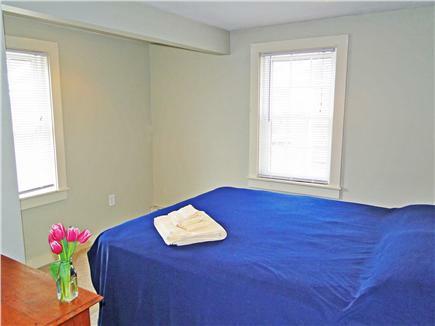 There is a queen bed in the main bedroom, and is very comfortable! Plus there is a good size closet, and suitcase racks for all your gear. The suitcase racks are a nice touch for those of you who don't like to unpack everything!! The second bedroom has 2 twin beds. Our girls loved this room!!! 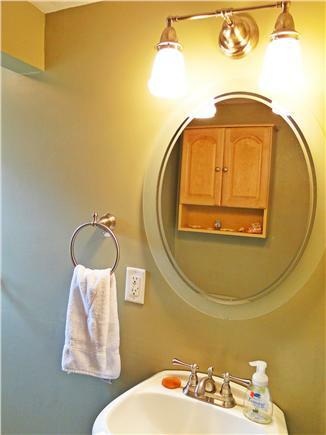 The washer is in the second bedroom closet - perfect for a quick mid week load, or for anyone with children. A clothesline is conveniently located right outside the back door. And, there is an outdoor shower, that if my husband could have packed to go - he would have!!! LOL!!! This cottage had very litter clutter, so it was real easy to clean! Sitting on the front deck in the morning with your coffee, or the evening at dusk, was so nice and relaxing. Plus the deck had plenty of space for everyone to spread out! The homeowner was really great to deal with. He was easily reachable if needed, and was all about you enjoying yourself at his home. I'm very sorry you were less than satisfied with your stay. I'd like to address some of the points you have made. The guest before you was someone who has stayed with us 7 years in succession and has already booked her stay for next year. I've seen the home myself after she has left, and it is always spotless. I'm afraid that what you thought of as toothpaste spatter is in fact some bleaching of the paint due to overspray from cleaning fluids. You are correct when you say that we don't have a dryer. The Weneedavacation website has a box for washer/dryer and does not allow you to check washer only. I have corrected this, as I promised I would, in the text of the listing. However, we are surprised that you should be so upset at having to dry your clothes on the outdoor clothes dryer provided. The beautiful Cape Cod sunshine does an excellent job of drying our clothes and beach towels, and it's environmentally friendly! The clothes dryer was not bent, just folded down for storage. As for the pans, they have been used for 10-12 weeks per year for about 5 years, so the equivalent of about 1 year of home use. However, when we get the cottage ready for Summer 2016, we will be replacing them. What a great vacation cottage. We arrived on Saturday; and the house was spotless. The kitchen has a nice size refrigerator, plenty big to hold our stuff, plenty of counter space, outfitted with everything you need. Neat round table with one side that can be folded down against the wall to give more space if you're using the fold out couch, seats 4 comfortably. Main bedroom has a queen bed, comfortable, with both closet space and suitcase racks provided. Other bedroom has 2 nice twin beds. ** Both bedrooms have multiple windows and catch the breezes nicely - we only had to use the A/C 2 nights. What a blessing coming from the humid South where we haven't had an open window in 2 months! When needed, the A/C does a great job. We needed it on Saturday when we came - got there around 4:00, turned it on, and it was cool by the time we got back from dinner @ 8:00. Outside shower is great and there's a nice backyard to play in if you have kids. 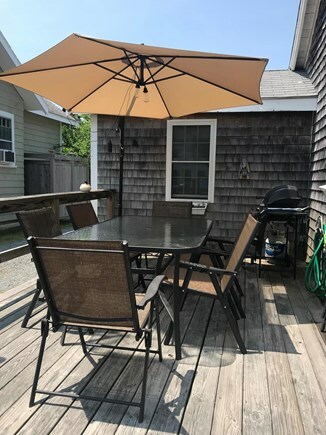 The porch that you see on the left of the house now has a nice table with umbrella, chairs, and a gas grill that worked perfectly. Plenty of space in front for 2 cars. We had 2 Nissan Rogues fit comfortably at one point. This place is a true jewel! We had a wonderful, relaxing time. The house was clean and clutter free and an all around enjoyable home away from home. We can't wait to go back!